It is with a heavy heart that I must inform you that one of gaming’s most notable YouTube channels, Machinima, has for all intents and purposes removed itself from the internet. 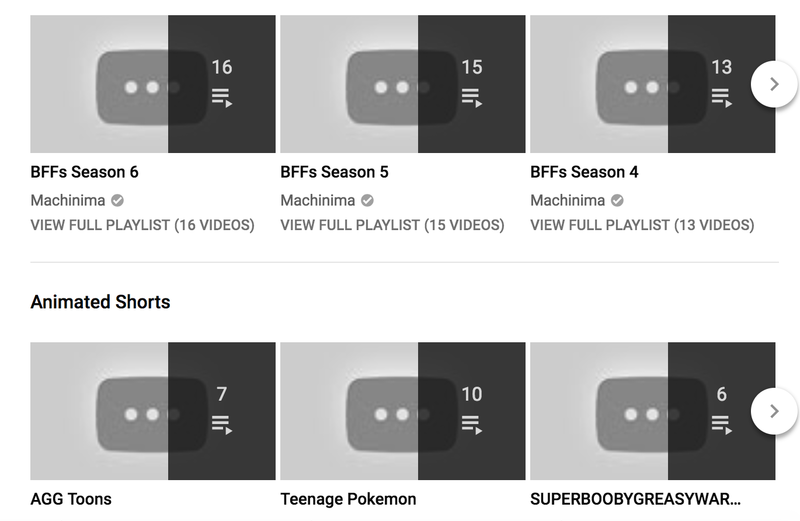 Without a word to any of the channel’s content creators, or fans, Machinima has set all of its videos to private. For those unfamiliar with YouTube’s video creation side of things, when a video is set to private it no longer appears on the channel page, and can only be accessed by the channel, in this case Machinima, or through a specific link that allows the uploader to share it. If one were to go to the channel right now all they would see is a husk of page displaying playlists the channel had created, filled with videos that Machinima has made private. Fans, and creators alike upon hearing the news were saddened and troubled. Machinima had been a mainstay in the gaming space on YouTube for years, with some even saying, once upon a time, that its network of creators were synonymous with what gaming was on YouTube. Now all of that work is presumed lost to the ether, with only Machinima having the ability to allow for that content to become public once again. In response to this news the hashtag #RIPMachinima surfaced for fans and creators to share their thoughts and memories of the once monolithic YouTube channel. We are focused on creating new content with the Machinima team, which will be distributed on new channels to be announced in the coming months. In the meantime the Machinima network of creator channels continues to showcase the talents of the network. As part of this focus on new content, we have pivoted from distributing content on a handful of legacy operated channels. A signalled rebranding perhaps, what is to become of Machinima is up in the air for the time being. The culture giant now serves as a relic and a warning: we can no longer believe that the content on YouTube will be there for us to enjoy forever.